I covered my daffodils in the fall with a heavy layer of pine straw. The leaves have come up but they are not budding or blooming. Is the pine straw too acidic for these plants? After a long winter, we look forward to the daffodils blooming in spring, and it’s a disappointment when they don’t produce the flowers we expect. 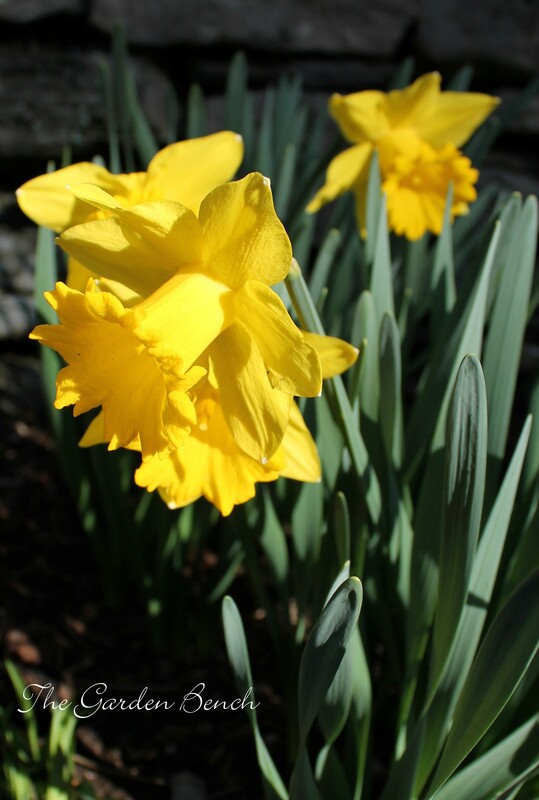 The failure to bloom is not due to pine straw causing acid soil; daffodils – or jonquils, as we sometimes call them — tolerate a range of soil types, as long as it is well-drained and moderately fertile, and some varieties actually prefer slightly acid soil. A lot of garden experts suggest mulching daffodil beds with a light layer of pine straw. Small, early blooming daffodils may not be able to penetrate a thick layer of mulch. I’d like to grow blackberry lilies in my new garden. When is the best time to plant them? Seeds in late summer resemble blackberries. 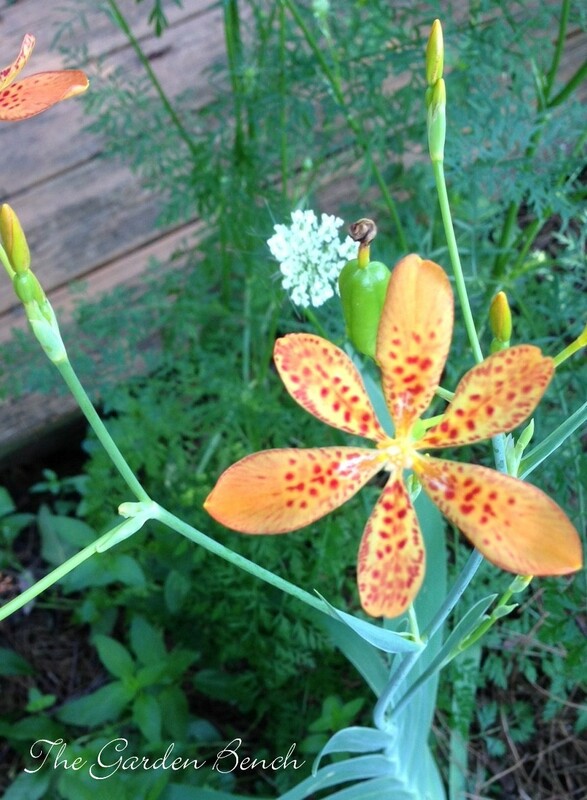 Blackberry lilies (Iris domestica) are easy-to-grow plants that add an interesting touch to garden beds and borders. When the leaves emerge, they resemble bearded irises, growing in a fan shape. The six-petaled red-spotted yellow flowers bloom about mid-summer atop tall, slender stems. 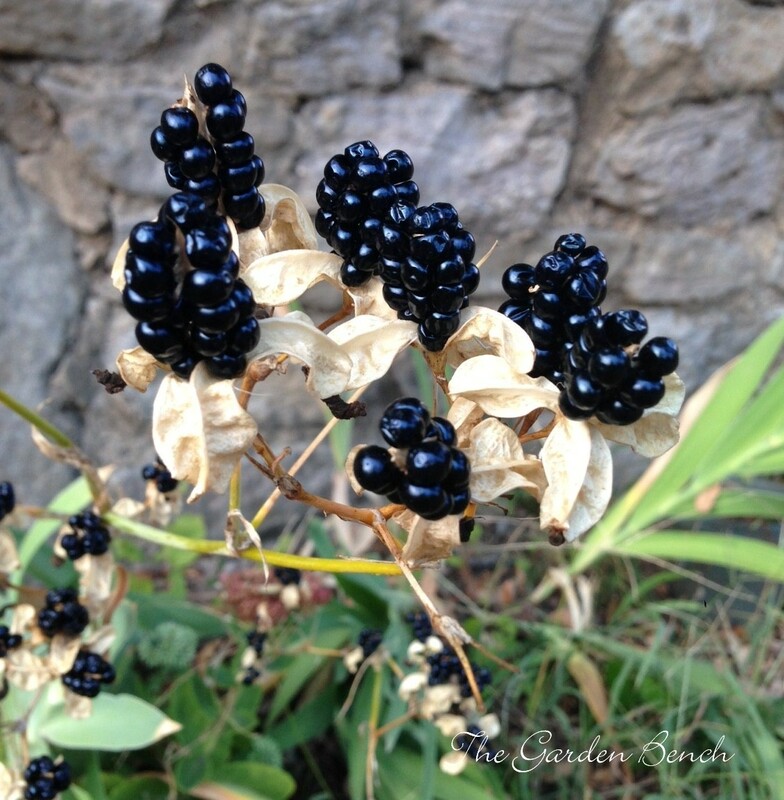 In late summer, the flowers give way to seed capsules that split open to reveal shiny black seed clusters that look like blackberries. Blackberry lilies grow from tubers. Plant them in average, well-drained soil, about an inch deep, any time the ground is not frozen. Horticulturists at the Missouri Botanical Garden web site suggest planting them in full sun, but gardeners report that they tolerate partial shade and still bloom well. Clumps of blackberry lilies expand by creeping rhizomes, and the plants may also self-seed if growing conditions are right. Provide regular water as the plants grow and bloom. It’s mid-January, and the daffodils in our yard are already starting to come up. The shoots are about 3 – 5 inches above the ground. Won’t they freeze when the temperature drops? It’s not unusual for the shoots of early-blooming daffodils to begin pushing up through the ground, even as early as January – the same time as the crocuses. Cold weather may slow their growth, but it won’t kill them. This time of year, the worst that could happen is that the weather turns warm and stays warm enough long enough that the daffodils bloom. The flowers might then succumb to a snap of extreme cold, but if buds have not begun to show color, they should be fine. There are several daffodil cultivars that bloom in late winter, and planting those types can extend the blooming season from late winter into mid-spring. Among the early-blooming favorites are cultivars called ‘Sweetness,’ ‘Jetfire,’ ‘Barrett Browning,’ ‘February Gold,’ and others. When shoots do begin to pop up, daffodil experts say they benefit from a light dose of bulb fertilizer, scattered lightly around each clump or spread over the surface of naturalized areas. Fertilizer can burn new leaves, so if it gets on the foliage, wash it off right away. I love daffodils! We are planning our first garden in our new house and want to plant bulbs to come up next spring. When is the right time to plant? Fall is typical bulb-planting time, and the cooler it is, the better, according to daffodil experts. 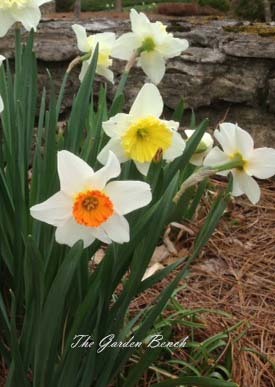 Anne Owen of the Middle Tennessee Daffodil Society in Nashville (Zone 7a on the USDA Plant Hardiness Zone map) says the best time is when the soil is 52 – 54 degrees (usually November in Middle Tennessee). But you can buy bulbs and begin to dream about spring daffodils, and prepare the planting areas as soon as you like. Daffodils enjoy well-drained soil, so if your soil needs to be amended with compost, do that before you plant. “Lighten heavy clay with perlite or sand, or use a raised bed soil mix,” Owen suggests. You can work soil conditioner into the soil – anything that will create a loose growing environment for the bulbs. Daffodils grow best in full sun. Keep in mind, though, that they grow and bloom early, while there are fewer leaves on trees that will cast shade, so even a tree-canopied space may have more sun in late winter and early spring than you realize. If you don’t want to go to the trouble to prepare beds for the bulbs, you can simply dig holes and drop the bulbs in the ground. Choose an area where you won’t need to mow until early summer, Owen says. Daffodil foliage should be left standing for many weeks after the bloom time is over, because this is when they’re gathering strength for the bulb to bloom again next spring. Plant large bulbs (pointed end up!) about six inches apart. Bulbs can benefit from a dose of low-nitrogen fertilizer at planting time, Owen says. Water the bed well after planting. 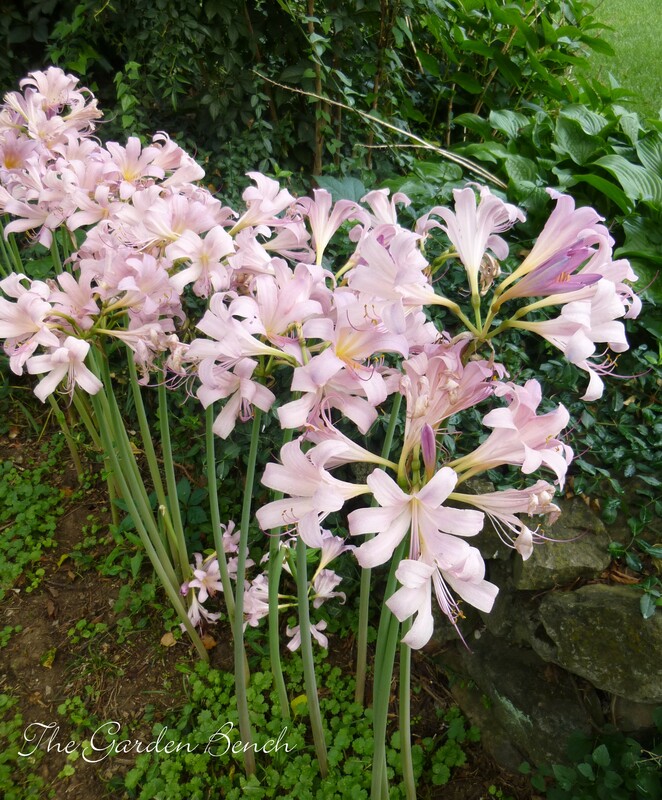 I love the “surprise” of surprise lilies (also called “naked ladies”) when they bloom every summer. When should you plant them? What do you have to do to keep them growing? Lycoris squamigera (surprise lily, naked lady) growing up through a bed of creeping Charlie. These late-summer bloomers really can cause a double-take when you see them in gardens. The lovely flowers are perched atop 2-foot stems, with no foliage in sight. In fact, the strap-like foliage appeared earlier in the season – in spring — and by summer, those big clumps have turned yellow and finally disappeared. Then about mid-July (in this part of the region, at least) – Surprise! The stems shoot up and fat buds open into large, delicate flowers. Surprise lilies grow from bulbs, and there are several varieties, but the hardiest is the one you probably see most, Lycoris squamigera. You may also know it by other names – magic lily, resurrection lily, in addition to the ever-popular moniker, naked ladies. These lilies are also among favorite pass-along plants. 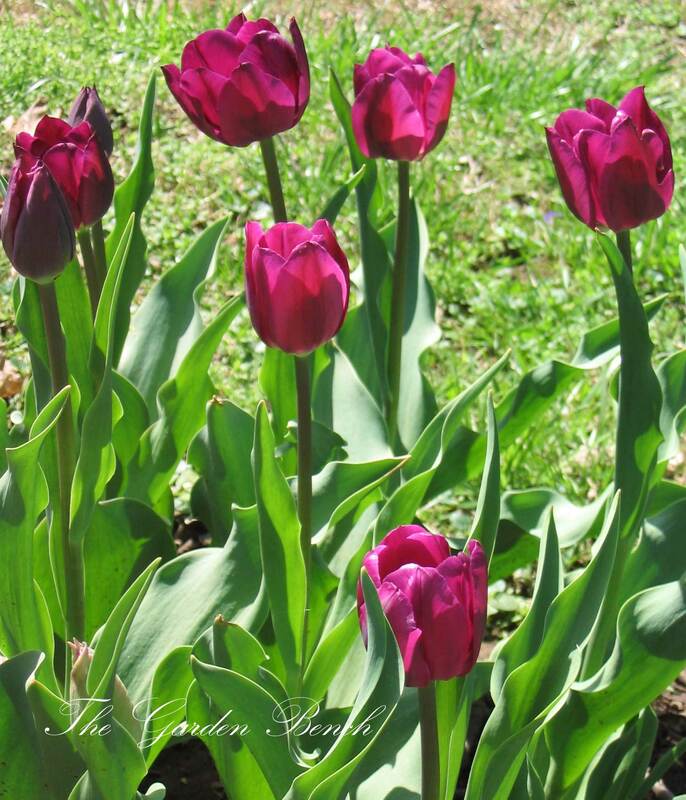 Dig and separate the bulbs after they finish flowering, and plant them about 4 inches deep. Because the stems are tall and bare when the plants bloom, some gardeners like to plant them among other summer foliage (I’ve seen them growing up through English ivy and other sturdy groundcovers). You can also plant them in containers. Surprise lilies grow best in full sun but seem to tolerate light shade. A signed copy of Plant This Instead! by Troy B. Marden is on its way to Sue, whose comment was picked by the random number generator as the winner of last week’s book giveaway. Thanks for playing, everyone! Watch for another giveaway coming soon. What to do in the garden this month? Think about fall! See the August Garden Calendar at Tennessean.com, where you’ll find information about planting cool-season edibles and a list of tips and tasks and garden events in Middle Tennessee.